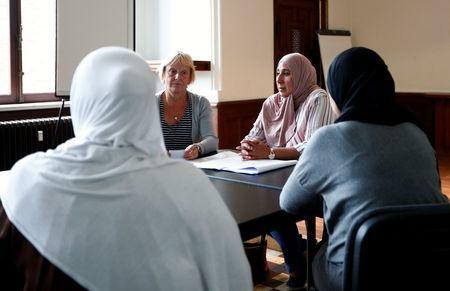 ANTWERP/PARIS (Reuters) - For years, they heard little from daughters who went to join Islamic State. Now dozens of families across Europe have received messages from those same women, desperate to return home from detention in Syria. They are among 650 Europeans, many of them infants, held by U.S.-backed Kurdish militias in three camps since IS was routed last year, according to Kurdish sources. Unwanted by their Kurdish guards, they are also a headache for officials in Europe. In letters sent via the Red Cross and in phone messages, the women plead for their children to be allowed home to be raised in the countries they left behind. In one message played by a woman at a cafe in Antwerp, the chatter of her young grandchildren underscores their mother's pleas. Another woman in Paris wants to care for three grandchildren she has never met, born after her daughter left for Syria in 2014, at the age 18. "They are innocent," she said. "They had no part in any of this." 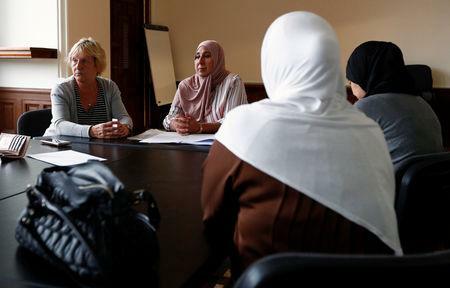 Like other relatives of those held in Syria, the two mothers asked to remain anonymous - afraid of being linked to IS and worried their daughters may face reprisals. The United States has taken custody of some citizens, as have Russia and Indonesia, and wants Europe to do the same - fearing the camps may breed a new generation of militants. "We are telling European governments: 'Take your people back, prosecute them. ... They are more of a threat to you here than back home,'" a senior U.S. counterterrorism official said. Europe is largely reluctant: there is little sympathy for militants' families with the trauma of deadly attacks still fresh in many capitals, and European diplomats say they cannot act in a region where Kurdish control is not internationally recognised. For the children it may be that their fate is determined by which country their mother came from. The Kurds say it is not their job to prosecute or hold them indefinitely, leaving the women and children in legal limbo. "Absolutely nobody wants them," said a senior diplomat grappling with the issue. "How can you sell to the public that you are proactively helping the families of your enemies?" However, mounting concern over abandoning hundreds of children with a claim to EU citizenship - most of them under six - is pushing governments to quietly explore how to tackle the complexities of bringing them back. "The threat emanating from children of the caliphate is really an unprecedented, invisible and very complex one - one that we have to deal with right now," Robert Bertholee, head of the Dutch AIVD intelligence agency, said earlier this year. "These children are victims above all." French officials have said they will work to repatriate the children - but not their mothers. Other EU nations are in talks with Kurdish authorities, two European intelligence sources said, but these are complicated because the Kurds want governments to take back all their nationals - not just the young. "About the children we all agree but not on the parents," a senior European security source said. The Red Cross collected about 1,290 messages for families in visits to the Al Roj, Al Hol and Ain Issa camps where the women are held this year. The camps are in an area of Syria under Kurdish control following the defeat of Islamic State in nearly all territory it once held in Syria and Iraq. "Mummy, Papa, forgive me for everything," one 23-year-old wrote, adding little hearts to the margins of the page provided. "I've lived unimaginable things," she scribbled. "I want to be with you and never leave." The women paint a grim picture: tuberculosis is rampant while food, baby milk and medical care are in short supply. Some women have died. "There is no capacity; keeping them there is not a long-term viable option," said Nadim Houry, director of Human Rights Watch's counterterrorism programme, who has visited some camps. "You don't build counterterrorism policy on public opinion." Kurdish officials say the foreigners in their custody comprise 900 IS fighters, 500 women and more than 1,000 children. As coalition forces clear remaining pockets of IS territory, Western security sources say numbers will grow. They fear the camps will not hold them long. Kurdish forces have traded some women back to IS fighters in exchange for prisoners and let others go. While women made up almost 20 percent of 5,900 Western Europeans who joined IS - and they had at least 566 babies abroad, a report by the London-based International Centre for the Study of Radicalism found, few have returned. Families in Belgium, France and the Netherlands are suing governments to intervene to get their relatives home. One mother has been petitioning authorities since receiving a letter on March 30 from her daughter - one of at least 20 Belgian women in the camps. "I've tried everything," she said, meeting with other mothers from around the country to share sorrows over tea and cupcakes on a recent Saturday in Antwerp. "We have no voice. We are branded the parents of terrorists." Calling their cause the Mothers' Jihad, they plan to joint legal action after one of their group lost a case to repatriate six grandchildren - all under 5 years old - by her daughter and step-daughter from camp Roj. The judge ruled that although Belgium had a moral duty under the U.N. Convention on the Rights of the Child to do so, it could not be enforced in the stateless war zone. "I am broken," their grandmother said after the ruling. 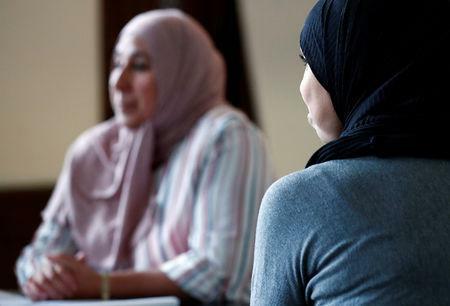 In the Netherlands, lawyers for three of about 35 women in the camps won a small victory. Judges ruled the government should bring them to stand trial where they would otherwise be prosecuted in absentia over their role in IS. As long as Dutch authorities do not act, their trials are frozen. "It is a political decision," a government official said. "Other countries are taking steps to bring people back." In France, lawyers say the absence of an official government stance on at least 60 French women and 150 children in camps has made it difficult to bring cases to court. "We have been met with a scornful silence," said Martin Pradel, who represents several families. The children are seen both as victims and threats, so bringing them back to schools and homes in Europe is fraught with difficulties. "I understand the sensitivities in countries that suffered from terrorist attacks; still we hope to facilitate humane solutions for kids," said Peter Maurer, president of the ICRC. But DNA testing to confirm claims of nationality may not be possible when parents are dead. IS widows often remarried, complicating custody issues. And separating children from their parents breaches international humanitarian law. "The debate must stop oscillating between denial and panic," said Muriel Domenach, who leads efforts against radicalisation in France, where some 78 children of militants who fled IS have been taken in charge by the state. "These are neither kids like any other, nor are they time bombs." When French psychiatrists first see their young charges, they are in a state of shock from being separated from their mothers at the airport. "They are in a terrible state when we see them," said Thierry Baubet, who is treating 40 children as part of the programme set up by French authorities last year. With their returning mothers in pre-trial detention, the children are placed with foster families - many of whom are at a loss on how to handle their trauma and have begun attending a support group set up by psychiatrists. Mostly the children are too young to understand the stigma of IS or how their words may alarm neighbours, teachers and social workers. "They talk about bombs. They talk about fathers who passed away," Baubet said. "They talk about the Islamic State all the time."